The classic has been remastered for mobile audiences and looks every bit as enchanting as it once was. 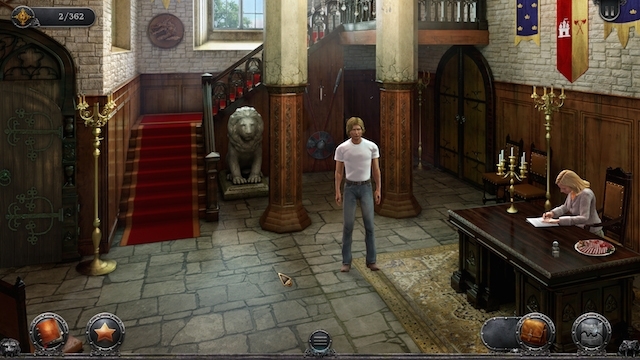 The Gabriel Knight adventure games from the '90s were truly a treat for fans of the genre, and even newcomers looking to see what all the hubbub was about. It's truly a classic of its time, and the game has been remastered for new audiences in the form of Gabriel Knight: Sins of the Fathers 20th Anniversary Edition, which is releasing for both iPad and Android on July 23. The game will be free for the first day, and the other days will be unlockable IAPs for $2.99 and $3.99. I'm not so much a fan of the pricing structure, as it would make more sense to simply charge a flat price for this game that you obviously have to play all the way through to completely enjoy, but then again you could simply download the PC version if that were going to be the case. If you're into '90s adventure games, this should be right up your alley.